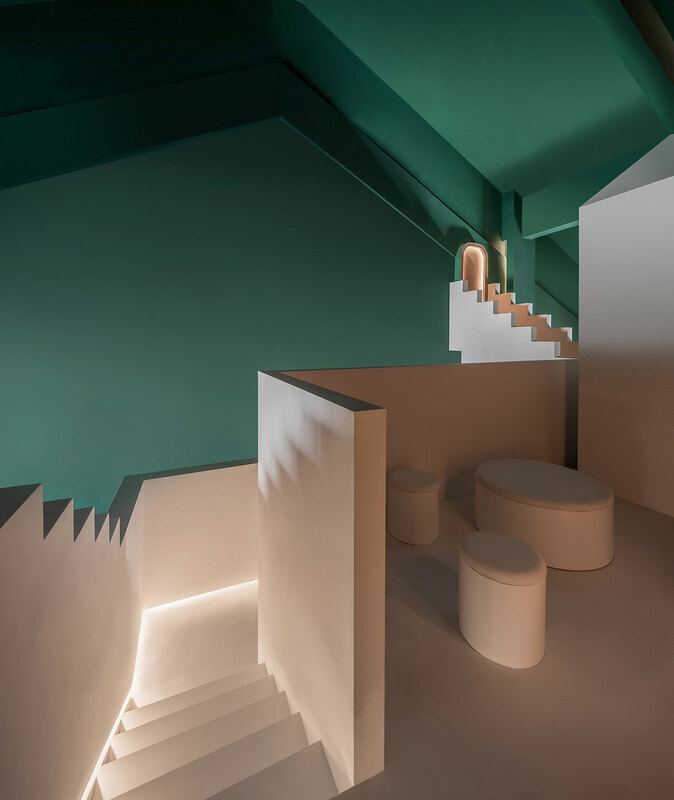 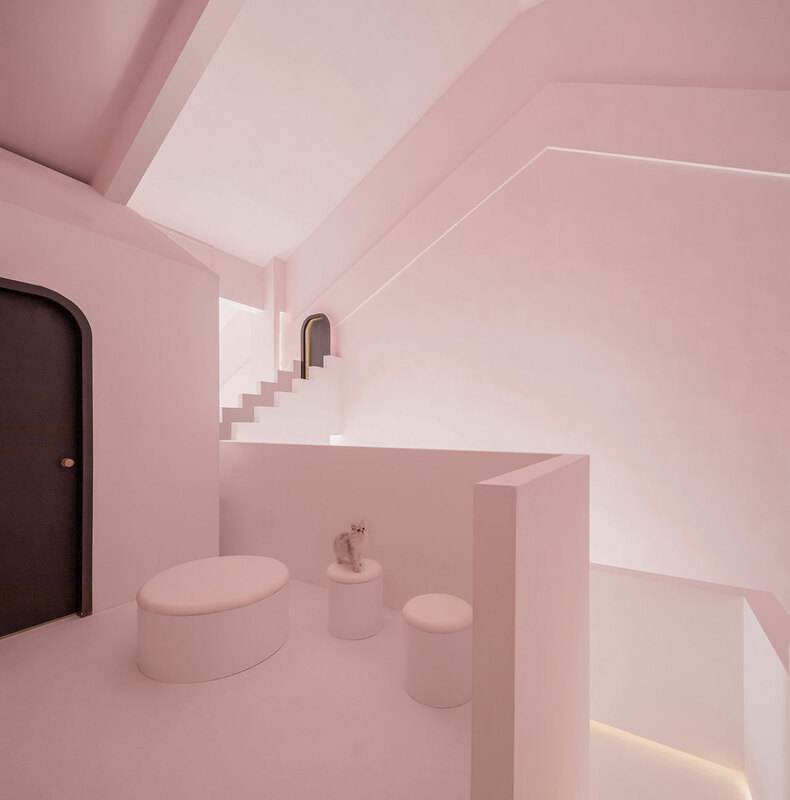 If you’ve ever wondered what Alice might have felt when she fell down the rabbit hole in Lewis Carroll’s legendary book Alice's Adventures in Wonderland then stepping into the new Dream and Maze guesthouses by Chinese architectural practice Studio 10 seems fitting. 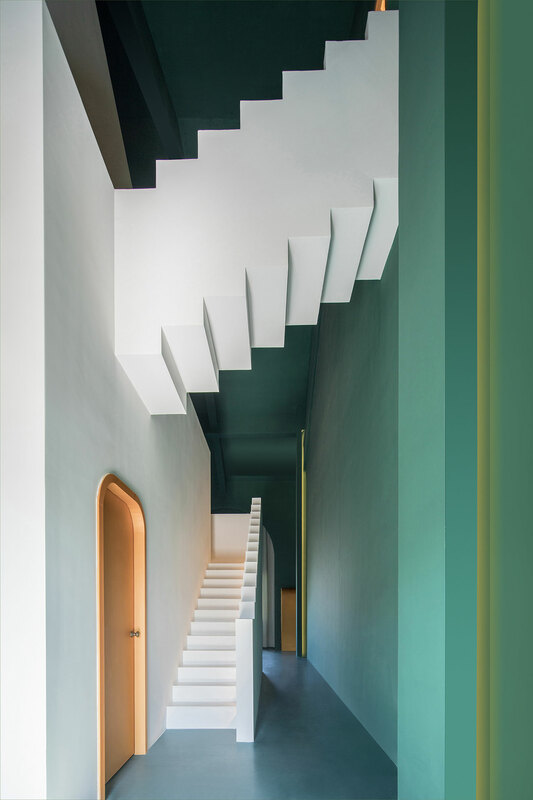 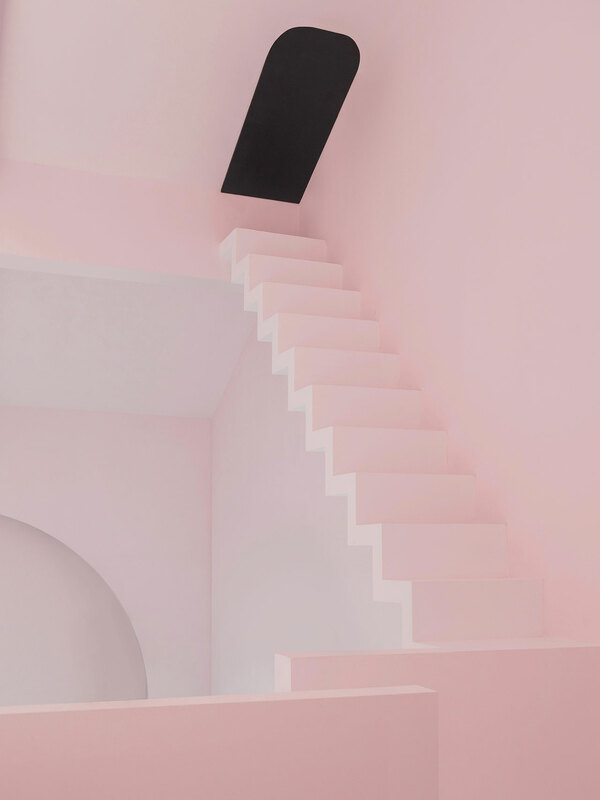 Stairs that defy logic, doors that lead to nowhere, and strangely located windows create spaces with infinite possibilities and imbue guests with a wondrous sense of otherworldliness. 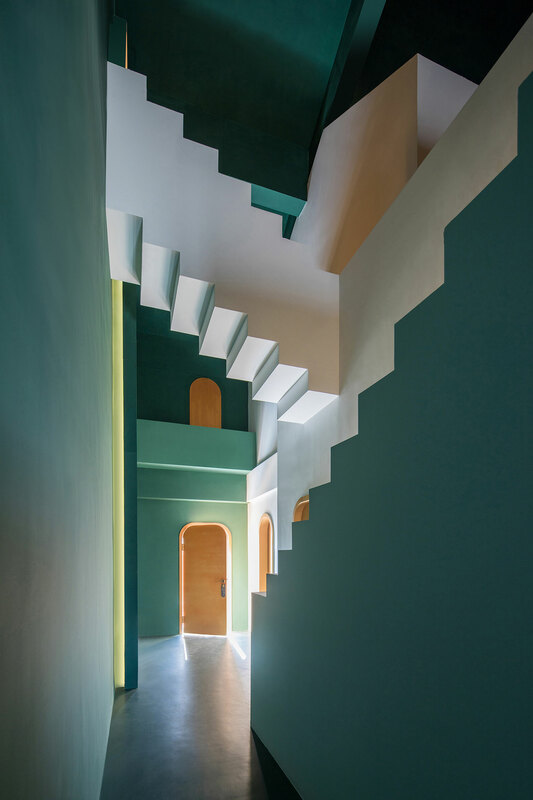 The two-bedroom residences are part of ‘The Other Place - Guilin Litopia', an imaginative project by the scenic Li River in Pingle County, China, that offers short-term accommodation in 10 unique themed guesthouses, each one designed according to a different concept such as Innocence, Peace, Light and Cloud. 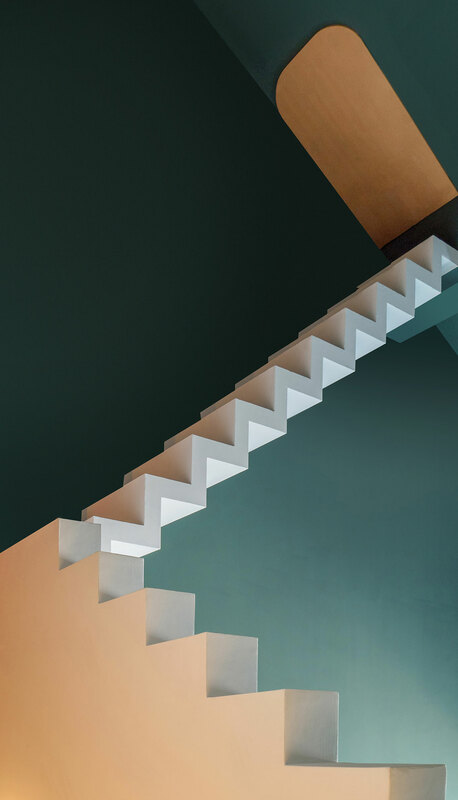 Both the Dream and the Maze guesthouses have been inspired by the disorientating work of Dutch artist M. C. Escher whose iconic 'Relativity' lithograph breaks the laws of gravity. 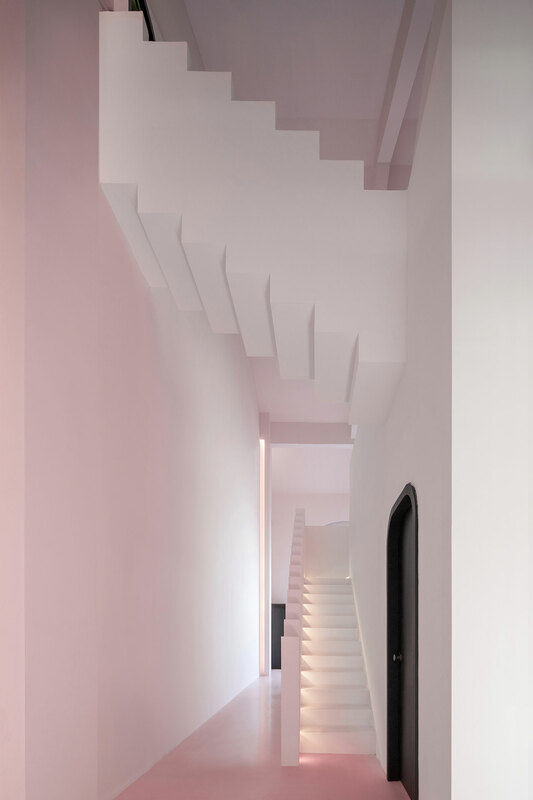 By incorporating and distorting stairs, doors and windows that serve no purpose other than to mislead, the designers have created “impossible spaces” that boggle the mind and overwhelm the senses. 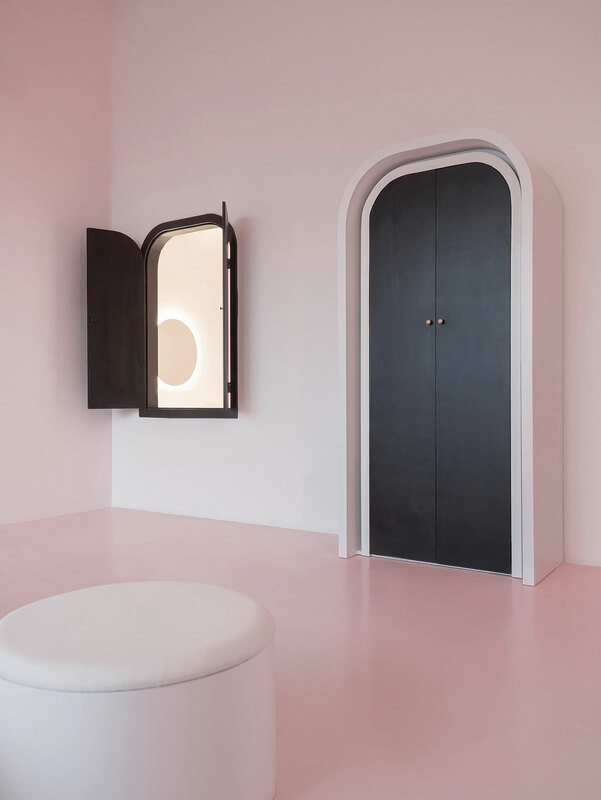 Moreover, by espousing an aesthetic of radical minimalism, where all fixtures from light fittings to electronic appliances have been concealed, and shaping all doors, windows and wardrobes into arches, they have further deepened the sensation of having stepped through the looking glass. 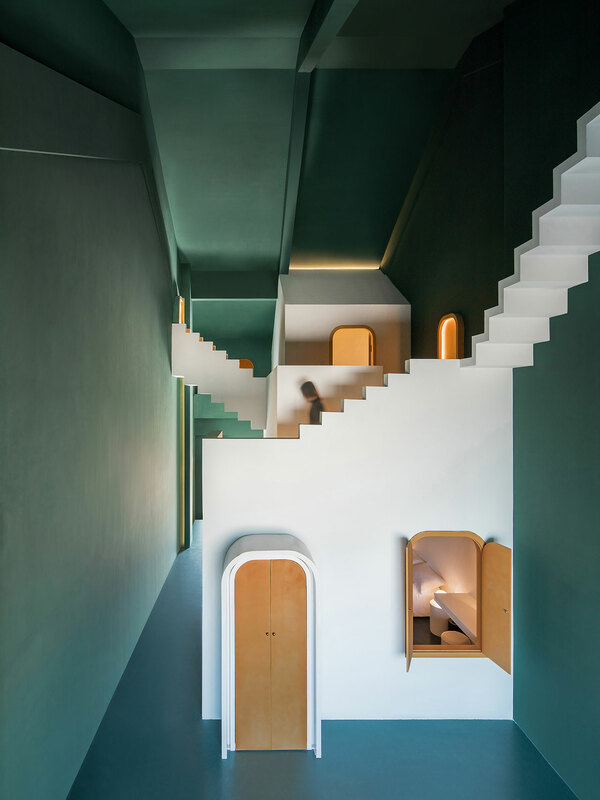 The optical illusions ingrained in the interior design also make the 70 square-metre guesthouses feel larger - as does their elongated floor plan and playful layout. 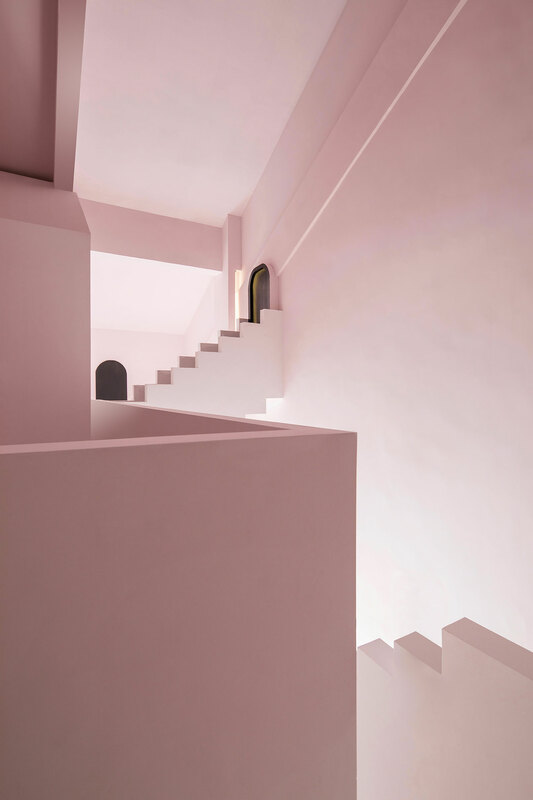 Taking advantage of the double-height structure, the designers have accommodated the two bedrooms and bathroom inside a cubist volume that allows the entire house to be perceived as a single space, as well as justify the inclusion of stairs, both real and illusory. 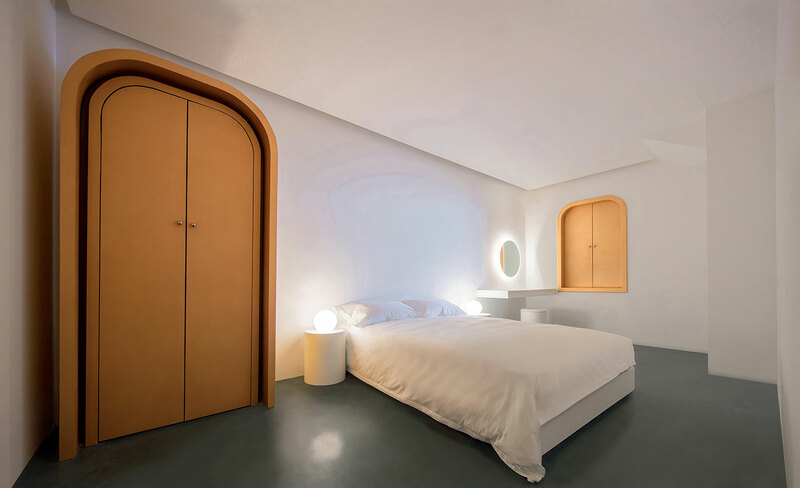 In order to differentiate the two guesthouses, two contrasting colour palettes have been used. 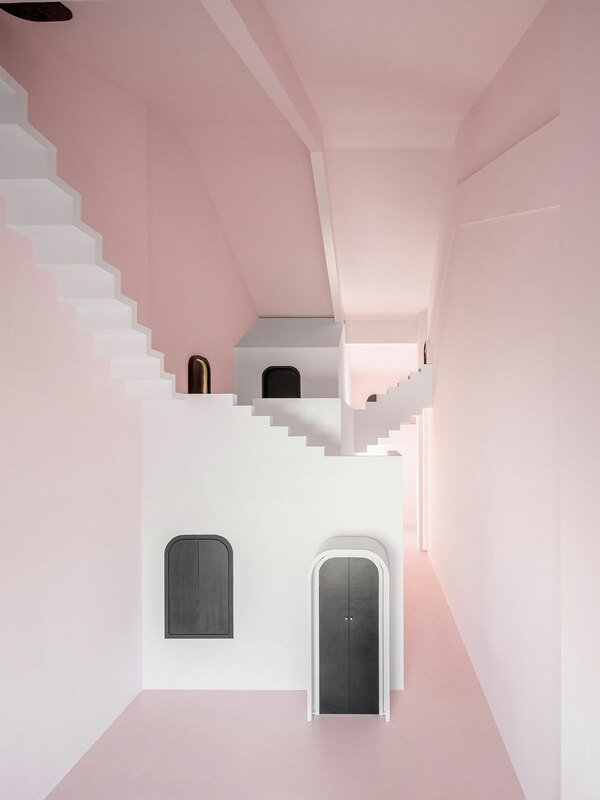 Whereas the Dream residence is suffused in pale pink and white, whose soothing ambience is uncannily rattled by black doors, window shutters and wardrobes, the Maze guesthouse is drenched in forest green and white, evocatively complemented by gold-painted details. 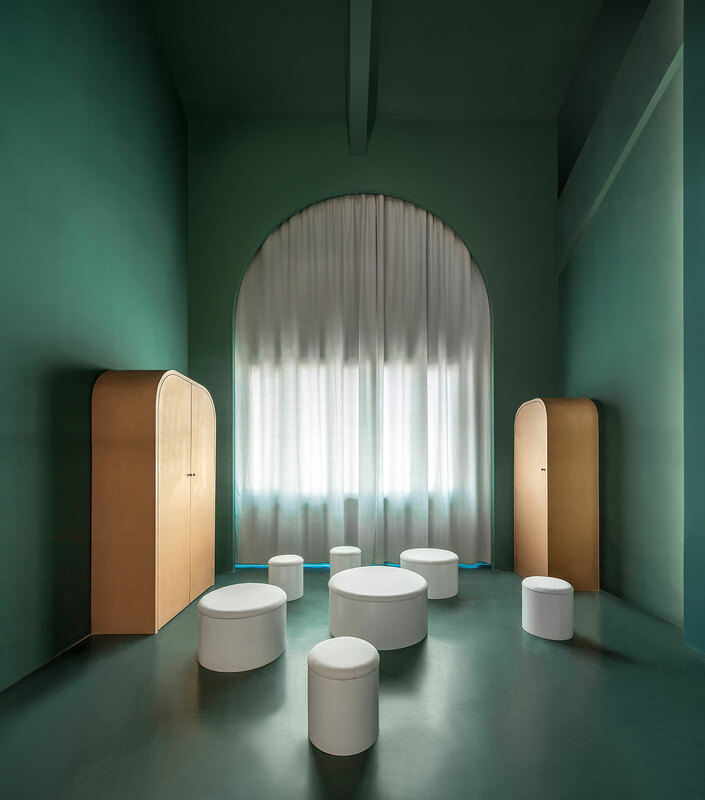 In both cases, visitors would be excused if they believed "as many as six impossible things before breakfast", as Lewis Carroll’s White Queen famously declared.